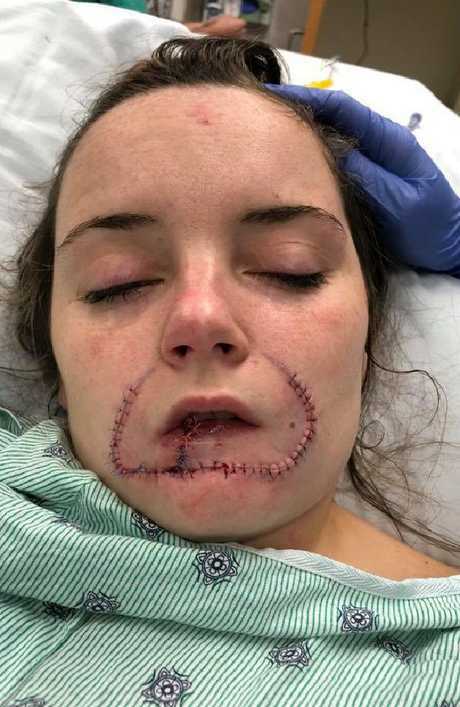 Kayla Hayes had her lip bitten off by her partner, who has now be sentenced to 12 years in prison. IT WAS the trip to a local car park that would change Kayla Hayes' life forever. Just before her 19th birthday on October 21, 2017, Kayla met up with her ex-boyfriend to discuss their relationship, which hadn't been going well. During their conversation, she refused to get back together with him. But instead of accepting, he spiralled in to a jealous rage, leaned in and bit off her lip. "He just latched on to me. 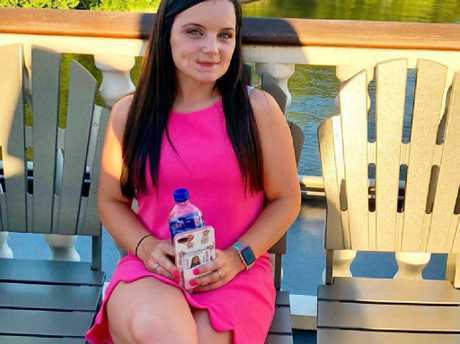 I remember, I felt it tear and it was already numb, but I felt it and I went into completely shock and survival mode and started screaming," Kayla told Fox News. "I looked down and my lip was literally on my leg it was covered in gravel … I picked it up and was like what the heck is this and I had my phone in my hand somehow and I looked at my front camera and I didn't know what to do, I didn't know what was going on, how did this happen, how did this happen? "I just remember thinking, I wish this would be over. All because he couldn't take being rejected." A year later, the teenager says she's still haunted by the horror abuse she suffered at the hands of her ex-boyfriend, Seth Fleury. Kayla has posted about the ordeal to Facebook after her ex-boyfriend was sentenced to prison. 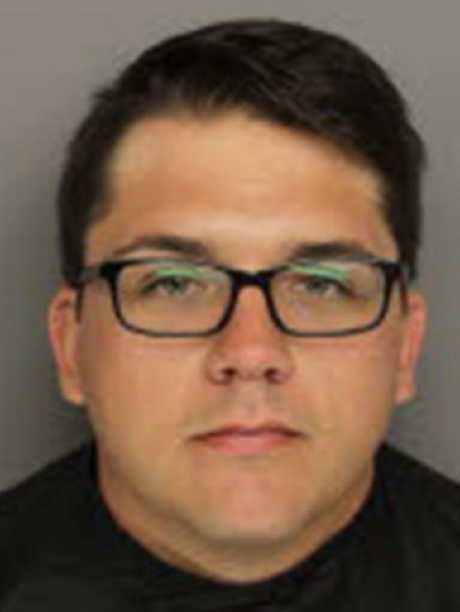 This month, the 23-year-old was convicted of assault and battery of a high and aggravated nature in connection with the incident. He was sentenced to 12 years in prison. Kayla opened up on Facebook about her ordeal and recovery, which involved surgeries, reconstruction and over 300 stitches. "Sitting in a puddle of my own blood with the majority of my lip laying on my leg, my whole mouth on fire, confused and terrified, I didn't know how I could ever show my face again," she wrote. "At that point, honestly wishing that those very seconds would just be my last- I wanted to give up for good. "Feeling it tear about half way. I then just started screaming at the top of my lungs for help and out of fear for my life. He then yanked me out of my own vehicle and slammed the door in my face so he could take off, and run away from what he had just done." Kayla said she will never forget the look on the man's face that came to her rescue after Fleury left her in the carpark. "I remember the look of terror on the man's face that just so happened to save my life this day," she wrote. 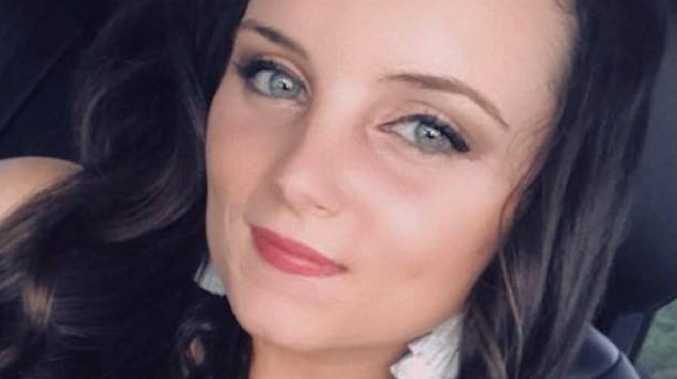 The horror injuries after Kayla Hayes was bitten on the lip by her boyfriend. "As well as the sweet elderly lady that had to walk out of her home to see such tragedy occurring but yet was so kind to try to help me and keep me comforted until further help arrived. "I remember Officer R coming around the back of the vehicle with Officer P following. I remember Officer R pulling his walkie talkie over to speak in to it. "Saying something along the lines of it being more serious than what he was expecting, my lip being completely severed off and for the EMS (ambulance) to come quick. Then giving me a piece of gauze and trying to assist me to stay calm and find out the details. "I remember just watching out of the back of the window of the EMS (ambulance), watching the roads thinking we were never going to make it to the hospital, again wishing that these moments would just be my last. Still to this day I cannot hear or see an ambulance without going into a panic. It brings me right back into this moment. "Never a day in my life will I ever wake up living my 'normal' life again." Kayla said she would blame herself for what happened, but has since realised that she is not at fault for the horror attack. "This happened because I chose not to get back together with someone that I knew didn't deserve me which he proved once again," she wrote. "I used to be my attacker's property, he manipulated me to the point where I almost lost everything and everyone in my life. The day that I walked out of this relationship was one of the best days of my life. Although, that was when he snapped. "When he realised he lost all control over me and wasn't gaining it back this day … He was always great at getting in my head, but this time, I no longer allowed it." Kayla said at the time of the attack, many questioned why she stayed in the relationship. The teenager said that things weren't always bad between them and his good qualities often overshadowed his anger and abuse. "We had some very good times because when he was good, he was great but when he was bad, he became my nightmare," she said. "I always thought that if you just gave up when it got bad then that truly means you don't love them, but there comes a point where you don't 'give up' but you have to get out because your life may depend on it. Kayla hopes her story will encourage others in a domestic abuse relationship to seek help. "Many times I tried to get out but when I did, it only got worse for me but finally I gained the courage to say I was done and stood firm with my decision." Though her physical recovery was difficult, Kayla said she struggled even more with the emotional recovery. "When this (attack) happened, I was about a month and a half into my first year of college," she explained. "When this happened, we had to sell the first home my mother had ever purchased. "Where the attack took place was right down the street from our front door. I could not even go back to my own home for weeks because I would begin panicking every time I even saw the street. "I was not able to drive for around two months, due to being on medicine and then being frightened to really venture out much. I sat in a bedroom constantly scrolling through social media, which only led me comparing myself to everyone on my feeds, which only led to my thoughts worsening. "I thought there was no use for me left in this world." 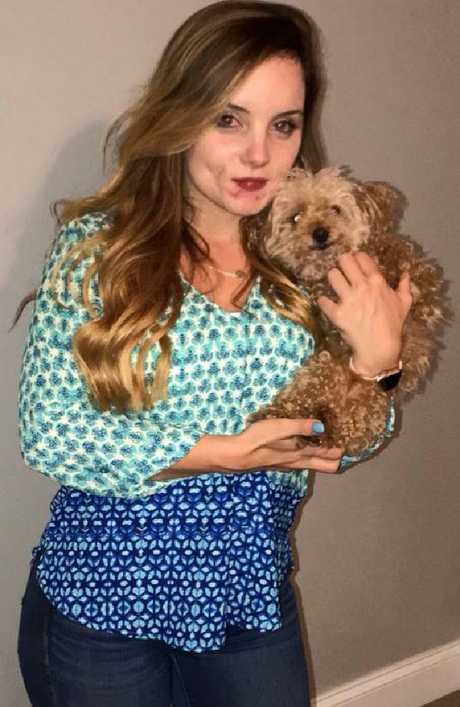 Kayla said she would often feel "like a monster" when she stepped out on the street, revealing she couldn't leave her house without "smothering" her face in makeup. Seth Fleury has been sentenced to 12 years behind bars for the attack on Kayla Hayes. "This has affected my day to day living," she explained. "My biggest fear is that he will get his hands on me again and next time I will not be up here for you to hear my voice. "Imagine that … your biggest fear is someone that has hurt you before, coming after you and yet they (police) don't know where he is. "I used to dream of having a big family and having little babies, as most do. As of now, I am completely against this. I no longer want kids because I feel like bringing them in the world would be putting them into danger. "If Seth could flip like a switch because I refused a kiss, then imagine what he would do if he ran into me or my family again. "This is my reality, this is my life … (but) I cannot allow him to keep taking it or I will never live the life that I was meant to. "If I sit down and let this defeat me then he will only get more satisfaction out of what he's done. "I will continue to wear my scars as wings and I will continue to Stay Kind and Stay Strong. And I will Rise Above this." - If you or someone you know is affected by domestic violence or sexual assault, please call 1800 RESPECT (1800 737 732). For crisis support, please contact Lifeline on 13 11 14. Kayla said the attack has scared her physically and mentally forever.